Neftalie Williams was 16 when he met two pro skateboarders outside of a summer camp he wasn't able to attend. It was after hours, and the pair skated with him. They taught Williams that the sport wasn't out of reach to anyone. Now 37 years old, Williams is a skateboarding envoy with the U.S. State Department and is spreading his love for the sport, recently completing a cultural diplomacy mission in Cambodia, where he highlighted skateboarding's benefits to young people. “It’s been built into the ethos and the DNA of skateboarding culture to explore new spaces, to build community, and to always have fun in a non-competitive way while you’re skateboarding,” he added. William’s program in Cambodia was a first in the country for the State Department, according to Williams, who had previously hosted a program in the Netherlands working with Syrian refugees who had just been granted asylum. During the multi-day series, he discussed skateboarding culture and how it can be a positive pathway for academics and physical activity. Clinics and demonstrations were also held for the kids, some of whom had never been on a skateboard before, according to Williams. “Once you give a kid a skateboard and they start pushing, then they just realize how much faster they are than the world, and it gives them some freedom and a way to sort of express themselves through skateboarding,” he said. 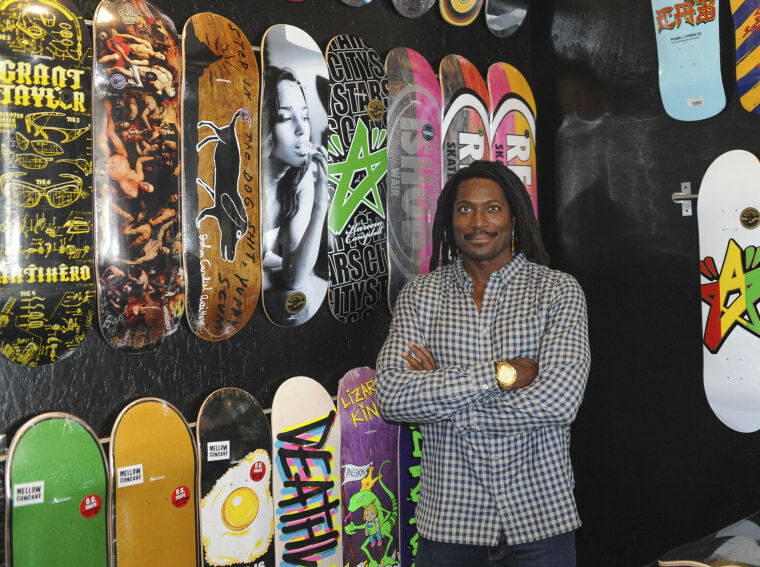 Williams, who also lectures at the University of Southern California and is a Ph.D. candidate at the University of Waikato in New Zealand, noted that skateboarding culture allows kids to meld academia with athletics. “There’s a space for them if they’re into business or media and content creation or design,” he said. Williams said skateboarding culture is growing in popularity in Cambodia partly because of the Cambodian youth's interest in American sports and culture. Kids in Asia have growing opportunity to reach higher levels of the sport, he noted, with the inaugural Asian Skateboarding Championships being held last November. At the 2020 Olympic Games in Tokyo, skateboarding will be an official sport, he added. “Skateboarding is that one sport that has all of those aspects at one time, and you don’t need to have a coach. You don’t have to have a league. That’s really important in countries where there may be kids who are disadvantaged or slightly disenfranchised,” said Williams, who has also worked in South Africa, Brazil, and Cuba. At Skateistan, a nonprofit organization that works with kids in Cambodia, the youth and staff were inspired by Williams, Kov Chan Sangva, a program officer at the organization, told NBC News. Skateistan offers free programs at a safe place for kids who may not otherwise be able to afford the materials necessary to skateboard. The sport is becoming more popular among the youth, Kov said.